A bishop, from the Greek word episkopos (overseer), is seen by some as a direct successor to the apostles. 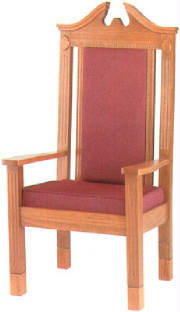 Bishops have, by divine institution, taken the place of the apostles as pastors of the church. Since in our culture symbols abound, and since the Archbishop of Dayspring has chosen to use symbols in this part of Christ’s Church, we now focus a spotlight on symbols of a bishop. In fact, the bishop himself is a symbol and is surrounded by symbols. Let us look at some of them. 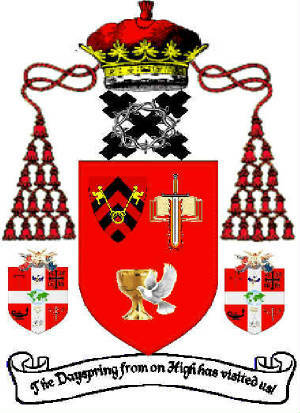 A bishop's coat of arms is distinguished by a sign of his rank. That sign, placed over the shield, is a particular version of an ecclesiastical hat that was worn in processions, as late as 1870. The hat is low-crowned, flat, and wide brimmed. On a bishop's coat of arms, the hat is green and hanging from it are 12 green tassels, six on each side. There's also a processional cross above the shield. The cross on a bishop's coat of arms has one bar; an archbishop's cross has two. The design of the shield itself differs from bishop to bishop. For his Episcopal Coat of Arms, Archbishop Barkman elected two colors, The green to designate his apostolic succession and consecration as an Archbishop. He also chose the red to designate him as the Presiding Pastor & Bishop of the Evangelical Christian Church and Dayspring Ministries International. The green or red hat, or galero, with fifteen tassels was modified when Archbishop Barkman, after prayer, chose a very unique Coat of Arms. The hat or “galero” is replaced with a crown to show Christ as the head of the Church. The tassels are attached to the Crown to designate Bishop Barkman’s attachment to his Lord and Savior Jesus Christ. This also designates that Bishop Barkman receives direction from the Christ of the Church. The Episcopal cross was changed to a cross of St. Julian. The Julian Cross is from the coat of arms of St Julien of Le Mans in France, believed to be the Julian for which the church of St Julian in Norwich was named, and from which Mother Julian took her name. Historically, it has been understood as a 'missionary cross', pointing to the four corners of the world. The leaders and other ministers, Without abandoning this understanding, continue our prayer that this Church and Ministry will finally and always embrace the entire world. 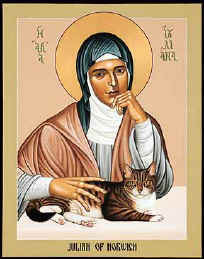 Julian of Norwich, living in Norwich, England in the 14th and early 15th century, spent much of her life as an anchorite, that is, as a vowed religious living by herself in a small room attached to a parish church. Beyond this, little is actually known about Dame Julian, as she was called. What is known about her, and what makes her the inspiration for the Archbishop’s Coat of Arms, is her remarkable book, The Revelations of Divine Love. The Revelations are a description of a series of visions which opened Julian to the depths of God's unconditioned love for us in Jesus Christ. They are noted for their spiritual depth and theological courage, for their literary elegance and the spirit of joy and humility that permeates them. Just as striking and as relevant to the 21st century is Julian's perception of the feminine element in God. 'As truly as God is our Father,' Julian wrote, 'so truly God is our Mother.' The Episcopal Church celebrates her feast every 8th of May. This Cross celebrates for DMI and the ECC the role of Christ’s Love for His people and His church. It also affirms the place of women in the ministry of Christ for our world today. And though Dr. Barkman teaches that one day the Judgment from God will come… Now we teach love and restoration for all persons, women and men. ECC Dayspring also teaches full restoration of the fallen upon repentance. The teaching from this group about equality for all, including women fits with the teachings of the Word and Mother Julian. Laid upon the Cross of St. Julian is the Crown of thorns. This symbolizes the sacrifice that Jesus the Christ made for us all. It is placed on the cross as a permanent reminder of His sacrifice. 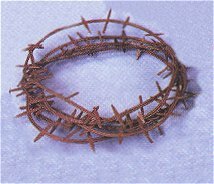 From Wikipedia, the free encyclopedia on the internet we read the following: In Christianity, the Crown of Thorns, one of the instruments of the Passion, was the woven chaplet of thorn branches worn by Jesus before his crucifixion. It is mentioned in the Gospels of Matthew (27:29), Mark (15:17), and John (19:2, 5) and is often alluded to by the early Christian Fathers, such as Clement of Alexandria, Origen, and others. "Then Pilate therefore took Jesus, and scourged him. And the soldiers plaited a crown of thorns, and put it on his head, and they put on him a purple robe, And said, Hail, King of the Jews! and they smote him with their hands. Pilate therefore went forth again, and saith unto them, Behold, I bring him forth to you, that ye may know that I find no fault in him. Then came Jesus forth, wearing the crown of thorns, and the purple robe. And Pilate saith unto them, Behold the man!" 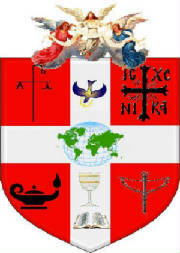 On either side of the Coat of Arms is the Coat of Arms for Dayspring Ministries International, showing Dr. Barkman’s commitment to the ministry he founded, which is home to the Evangelical Christian Church, The Association of Evangelical Clergy, The American Association of Christian Therapists, and the Institute of Theology & Christian Therapy. Within the shield we have He has also added a Bible with a “Burning two edged sword.” This designates the sharpness of the Word of God which tells all that is necessary for the salvation of every person and all of humankind. There is also a Chalice symbolizing the Eucharist and a dove showing the “power “ and “comforting presence” of the Holy Spirit of God. 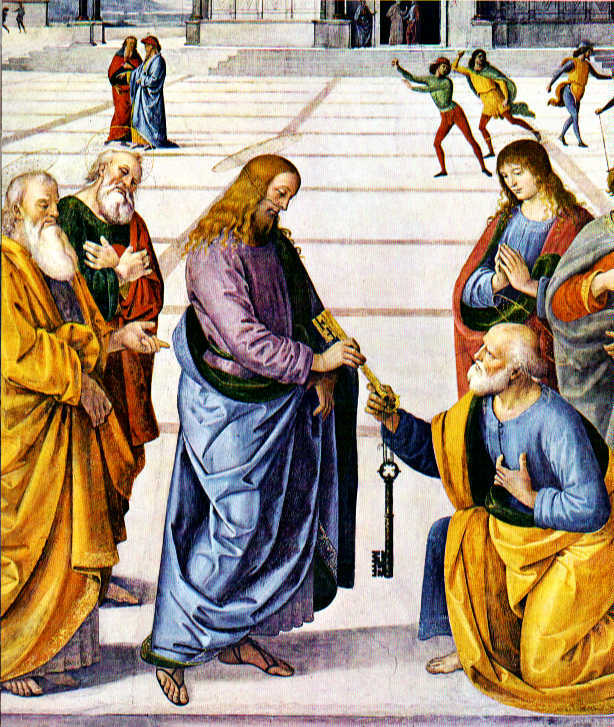 There are Keys to the Kingdom and you all hold them. Every One of you have a Key. Every One of you carries Keys that only open certain doors. The Keys of the Kingdom are being released into your hands. The Keys of the Kingdom are being released into your Authorities, Dominions, and Jurisdictions! The Keys of the Kingdom are laid within your palm for usage. So it is time to TURN your Keys!! Open your hand and find, by the direction of My Spirit, those Keys that I have laid for you. The Keys laid one at a time to open particular doors; doors that will bring forth the Works and the Acts of My Kingdom for your life. The Keys are among you! The Keys are in your possession! But now, by My Spirit you will take one after another into your hand for the use of OPENING! No longer will my doors remain closed, for they are being opened for those who choose to use the Keys. So turn your hand and turn your mind and focus to the truth that the Kingdom is at hand. The doors will open and my children must look to their Keys. They must look into the Spirit for me to lay in their fingers the Key that opens this door and the Key that opens that door. The Key that opens New Dimensions of authority and dominion, hence to walk by My Spirit in a way they have not fully experienced until this hour. But it is coming upon My Church; I have desired that the Heavenly things be brought to the earth. Kingdom Works, Kingdom Abilities, Kingdom Powers and Kingdom Jurisdictions are now being laid back into the hands of My young ones and back into the hands of those who have matured in Me. Just say, "Father what is it you would have me to open? Give me Wisdom and Direction to what Key for what door." It's just a key, just a door away! It's an opening from one room to another. I'm putting you right before these doors, one at a time. I'm going to let you hear the sound of these Keys, the Keys in your hand, but you must listen and obey to turn the lock and open the door!!! BEHOLD I STAND AT THE DOOR AND KNOCK. COME AND OPEN THE DOOR FROM WITHIN. I HAVE HIDDEN THE KEYS IN YOUR HEART. LOOK, THEY ARE NOW IN YOUR HAND!! !